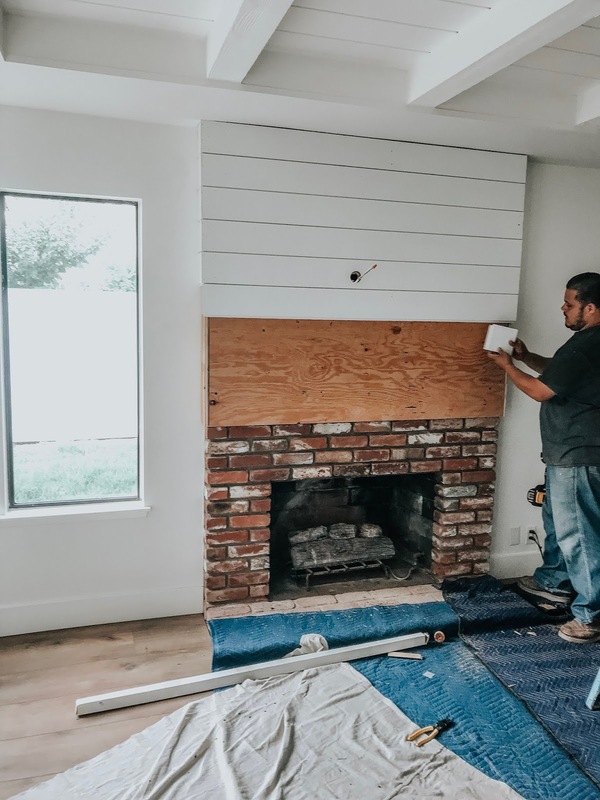 Read more to get all the details on the renovation of this fireplace. 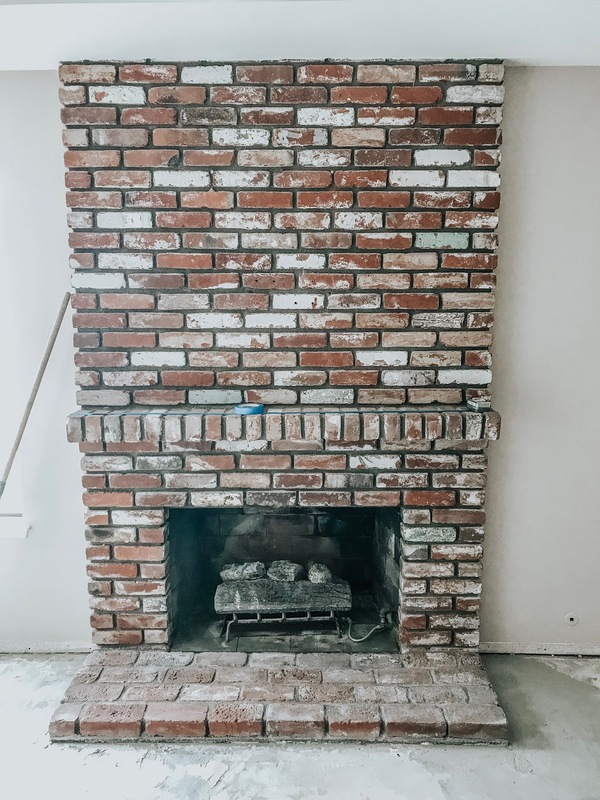 It went from brick to this and I am just so so obsessed. 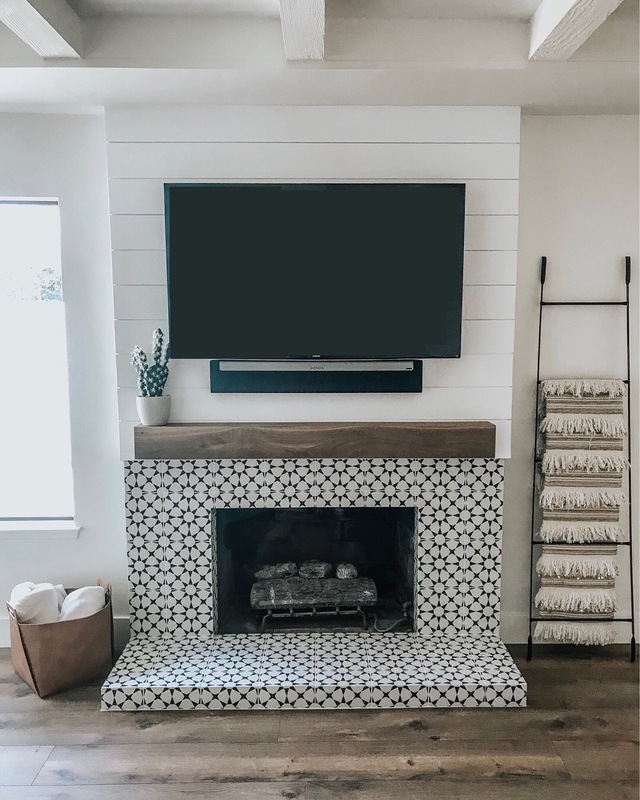 This fireplace is located in our den, which is our main and only TV room. We wanted it to be the focal point in the room, but also give the room a homey modern feel. 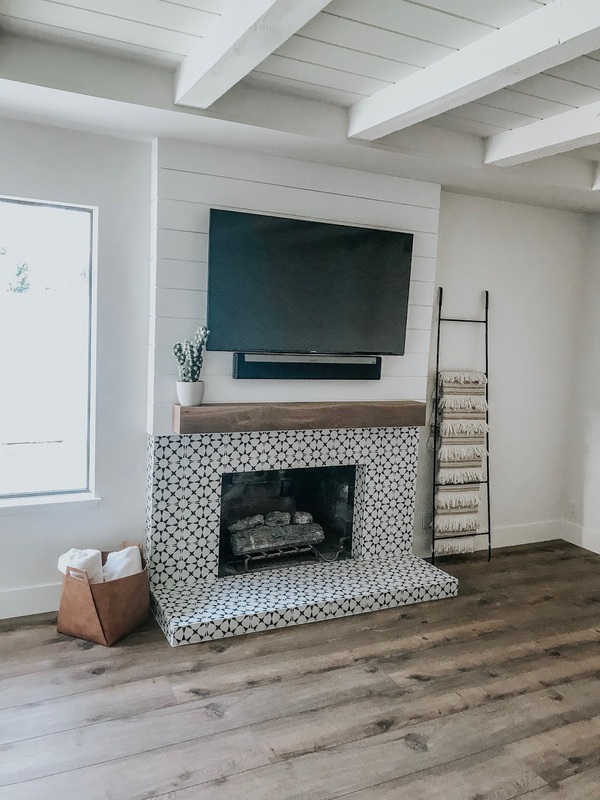 We wanted to make sure we hid all the tv wires- so the plan was to demo out a channel, add the pipe behind the drywall and brick to feed the wired though and add a power outlet behind TV. I used my tile guy to demo and electrician to add the channel and power outlet. 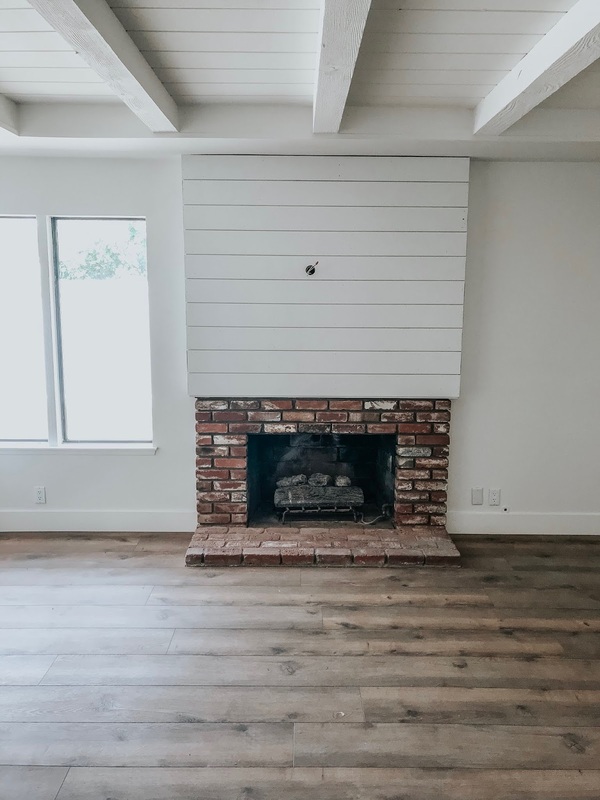 The den already has pretty beam and woodwork on the ceiling, so I thought adding shiplap to the fireplace would really tie in the room. 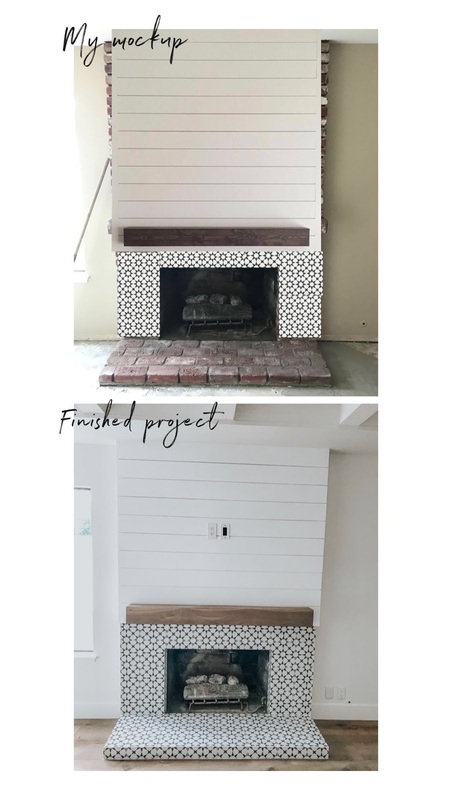 I used Candi from Urban Wall and design - she did both the shiplap and mantle on the fireplace. 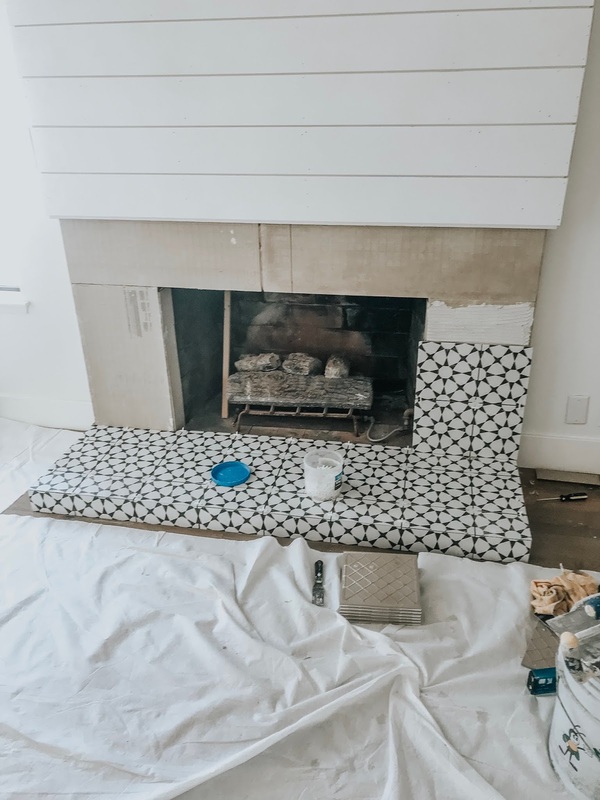 Were trying to keep this house black and white with terra-cotta or saddle leather accents. 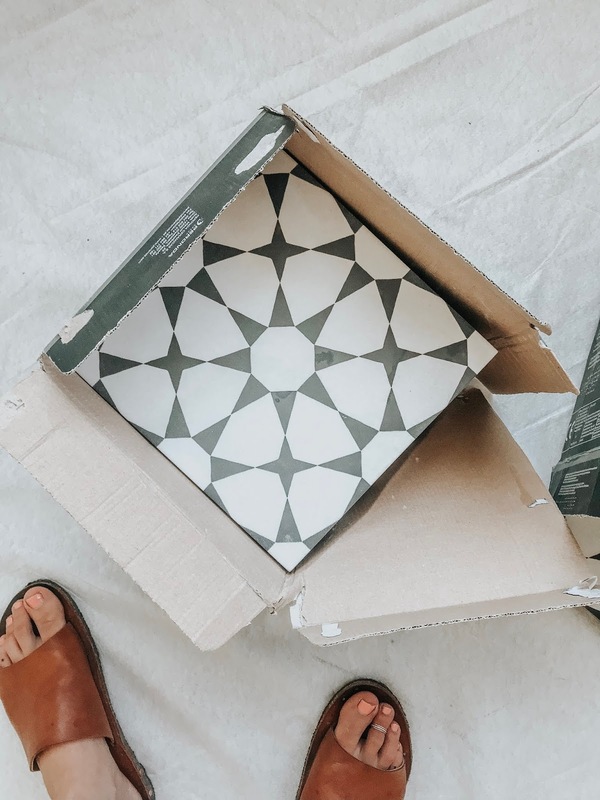 So I knew instantly I wanted to do some sort of black and white cement tile. I purchased this tile and Imperial Tile and Stone. They had so many different options, I was very impressed! 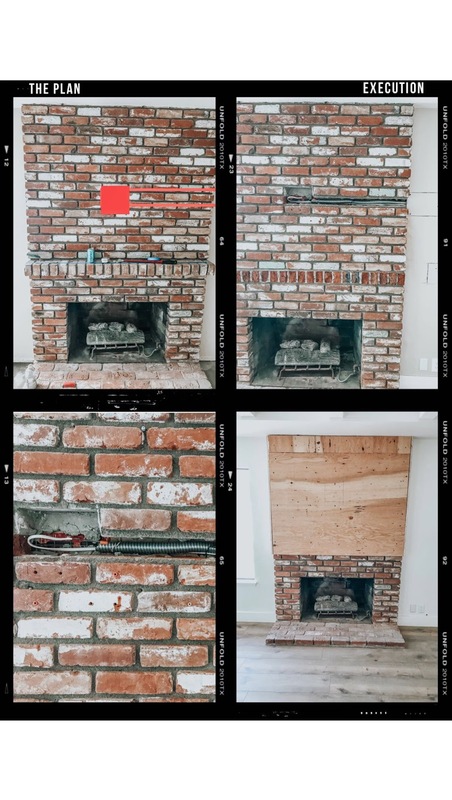 If you need a tile/floor guy and are in the OC - DM me ill pass along his info.